Register on our new application tool right here. Set up your personal account, network with all other registered students and follow the depicted application process to apply for the upcoming World Business Dialogue during our application periods. Keep up with us on Facebook to get the latest news on our application periods! What are the requirements? Who can apply? There is no deadline for the application yet. However, if you want to get matched into the formats taking place from Monday until Wednesday, we highly recommend applying as early as possible. If you do this accordingly, you will also have the chance to get a reduced ticket price. We will most likely close the application phase in early February. What are the motivational questions? What does the future of Learning look like to you? give us your definition and opinion. Why do you want to participate in the WBD? What are your expectations regarding the WBD? You will find this questions along the process. You do not need to create a separate document for it. Can recent graduates attend the World Business Dialogue? What do I need to study to apply for the World Business Dialogue? Students from any field of study can apply. The conference is not exclusive to only economics students. 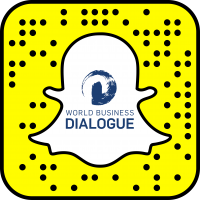 What are possible benefits of attending the World Business Dialogue? Are there any scholarships for tickets/ plane tickets/ accommodation? Full sponsorships are available in a few Creation Labs. How to be eligible depends on the Lab. How do I know if I was accepted to the World Business Dialogue? Applicants will receive an email confirming their successful application. Unsuccessful applicants will also receive an email to inform them of their unsuccessful application. If I am not selected as a successful applicant in the first round may I apply again in the next round? No, you may only apply once for the World Business Dialogue in 2018 until it is over. Next year, however, you can apply again when applications open for the World Business Dialogue in 2019. How much does joining the World Business Dialogue cost? All successfull applicants have received emails with the ticket prices for the 21st World Business Dialogue. Our prices usually range from 100 – 200 euros (without accomodation), depending on many factors such as the speakers we were able to invite, the convention setup and funding we were able to obtain. Please keep in mind that we are a non-profit organisation and that ticket prices will always be calculated to only cover our expenses and not to create profit. All accepted delegates have been contacted with more information. If you are a successfull applicant and have not received your ticket information yet, please contact the International Relations department via email: apply@dialogue.team. Which visa do I have to apply for? You have to apply for a Schengen visa. If you indicated accordingly in your application, you will receive an official Visa Invitation Letter to the 21st World Business Dialogue. We can get in touch with your embassy to assist your visa application. I have started my own business and want to promote it at the conference; is there an opportunity to collaborate with the World Business Dialogue as a delegate and an entrepreneur? You can promote your start-up by networking at the convention during the Dialogue Week. For further information send us your pitch to apply@dialogue.team and our IR department will get in contact with you. What is the percentage breakdown of international delegates by country? The percentage breakdown differs from year to year. Most students though come from Asia and Europe. Due to data protection reasons, we unfortunately cannot share the exact percentages. I was accepted for the previous convention, but could not attend for some reason (e.g. financial problems, visa problems). Will I automatically be accepted for the next World Business Dialogue? No, each year it is a new pool of applicants and therefore you will need to apply again. My documents will not upload during the application. What do I do? Please note only PDF documents will be able to be uploaded. The size of the documents should not exceed 5MB. My field of study / university is not in the list provided in the application tool, what do I select? There is an option to select “other”. Please do so and in your CV and motivational letter note what your field of study and university is. I made a mistake in my application and now need to change it. Unfortunately, once an application has been sent off it can no longer be edited. Therefore, please be careful and double check your info before sending off your application. Why does the World Business Dialogue team not reply immediately to all emails and Facebook messages? Please note that we live in different time zones to most of you. We will not be in the office 24/7.Your emails and messages will be read and answered within 24 hours .